Despite the very best preventive care, your favorite pet can become sick. When this happens, it is stressful for you and your companion, especially because you can't simply ask what's wrong. 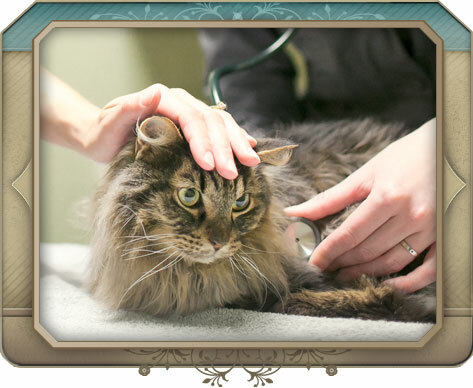 You need a skilled veterinarian whom you can trust to accurately diagnose and effectively treat your pet. While the focus of our medical practice at North Paws Veterinary Clinic is your pet's wellness, an important part of our services is the diagnosis and non-surgical treatment of diseases that can affect your pet's internal organs and body systems. Dr. Riggs, supported by advanced diagnostic technology, can identify and effectively treat a range of complex diseases. After performing a thorough examination, Dr. Riggs may utilize diagnostic tests to identify the underlying cause of your pet's illness. It is our policy to review any recommended tests with you before they are performed, as well as discuss all the available treatment options and fees; our foremost concern is maintaining your pet's wellness and your peace of mind. The eye exam is not only an effective screening measure for chronic and acute glaucoma, but can also help set a baseline measurement of your pet's normal intraocular pressure (IOP). Establishing an IOP baseline is important because the normal measurement can vary between species, breeds and even individual pets. Allergies are extremely common in dogs of all breeds and backgrounds, typically as a result of fleas; however, they can also be the result of food or an inhaled irritant like dust or pollen. Most allergies appear after the pet is six months of age, with the majority of affected dogs over age two. The most common symptom associated with allergies is localized or generalized skin itching. Other symptoms include respiratory distress (coughing, sneezing and wheezing) or digestive problems causing vomiting, flatulence or diarrhea. If your pet exhibits any of these symptoms, please make an appointment to have him or her seen by Dr. Riggs at North Paws Veterinary Clinic. We will evaluate your pet, determine the most effective method of treatment, and explain how you can prevent future problems. If left untreated, allergic reactions and skin conditions can become serious medical concerns. 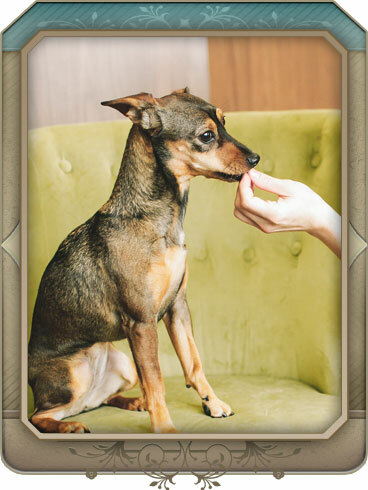 Your pet may have serious nutritional challenges or chronic conditions that benefit from a special diet. Making this change can have a significant positive impact on your pet's overall health and well-being. Prescription diets benefit medical conditions such as liver disease, bladder and kidney disease, digestive problems, renal failure, food allergies, diabetes and more. 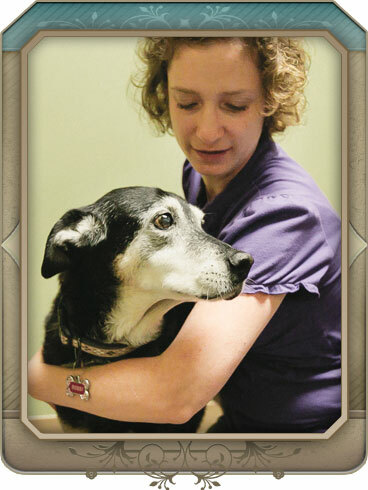 North Paws Veterinary Clinic carries a diverse inventory of prescription foods and high-quality nutritional products. As an added convenience, you may place orders through our online pet products store, which carries a huge array of prescriptions, pet foods and products. This makes for an easy, budget-friendly way for you to ensure your pet receives the veterinarian-recommended foods he or she needs to be healthy. For more information about the pet health care services North Paws Veterinary Clinic offers for your pet or to schedule an appointment at our animal hospital in Maple Grove, please contact us.